In southern Mexico, locals say some migrants fleeing Central America are staying put instead of traveling on to the United States. ARRIAGA, Chiapas – This sweltering Mexican village sits about 1,200 miles south of Texas, but the complaints about foreigners would sound familiar in the Lone Star State: People crossing the river illegally from the south are driving down wages, taking over neighborhoods and taxing social services. Others are gaming the country’s legal immigration system by overstaying their visas. Tens of thousands of Central American migrants have passed through here fleeing their homelands, most trekking northward to seek asylum in the United States. But an increasing number are stopping and settling just north of the Suchiate River, the shallow body of water that separates Guatemala and Mexico. Whether they are biding their time or looking for permanent residency, the uninvited arrivals have tapped into a nativism that puts more pressure on an already tense and poverty-stricken region of Mexico. Morales said he can’t blame the immigrants for wanting a better life, some fleeing gang wars that have made Honduras and El Salvador two of the most violent countries in the world. After all, thousands of Mexicans have migrated for years to the United States, he said, leaving poverty and violence behind. But he can see why some Mexicans aren’t high on the idea of immigrants originally headed for the United States staking a claim in Mexico. Just take a trip to an auto repair shop or other blue-collar business, he said, and you’ll see why. Mexicans can’t do anything about the violence plaguing Central America, but if they want to understand why some Central Americans are settling in instead of moving on they can look to their own government, analysts argue. Another refrain familiar in Texas – that the government has no control over the country's borders – echoes here. 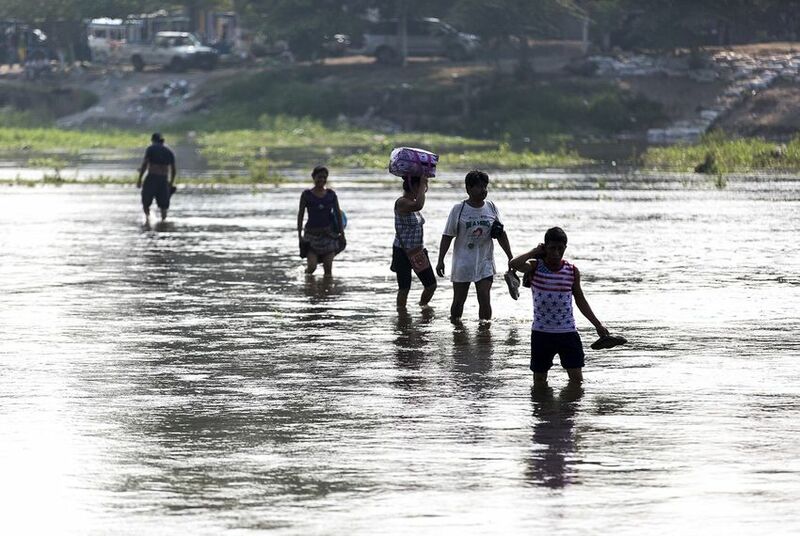 The Suchiate River in Chiapas’ Ciudad Hidalgo is less a barrier than a transit station where people and goods cross between countries illegally at all hours of the day. Rafts ferry as many as 20 people across at a time. Crates of soda, cereal, baby formula, beer and other provisions are transported from Mexican warehouses that sit less than 50 meters from the river’s banks to waiting trucks on the Guatemalan river bank. It’s the epitome of free – and illegal — trade occurring less than a kilometer from the official border crossing, under the disinterested eyes of immigration and customs agents from both countries. The underground system is so organized that boat captains, whose vessels are simply wooden planks affixed atop tractor-tire inner tubes, wear different-colored t-shirts with their organization’s names stenciled on the backsides. They have designated crossing points so as not to interfere with one another’s business. Mexicans can also thank Uncle Sam for helping prompt some of the Central Americans to stay in their country instead of pressing on to the United States. After a record surge of Central Americans began crossing the Texas-Mexico border illegally in 2014, the Obama Administration applied pressure on the Mexican government to secure its southern border. That led to an aggressive effort including more checkpoints and Mexican border agents in states like Oaxaca, Chiapas and Veracruz, which sit on the most popular migrant routes to Texas and beyond. It also meant that the freight train used by most of the migrants, called La Bestia, or The Beast, is more guarded. The vigilance has led to an increasing number of migrants faced with two options: find a different, likely more dangerous route north or stay put in Mexico. The second option becomes more appealing when migrants learn that there is a good chance their asylum applications will be denied even if they reach the United States. 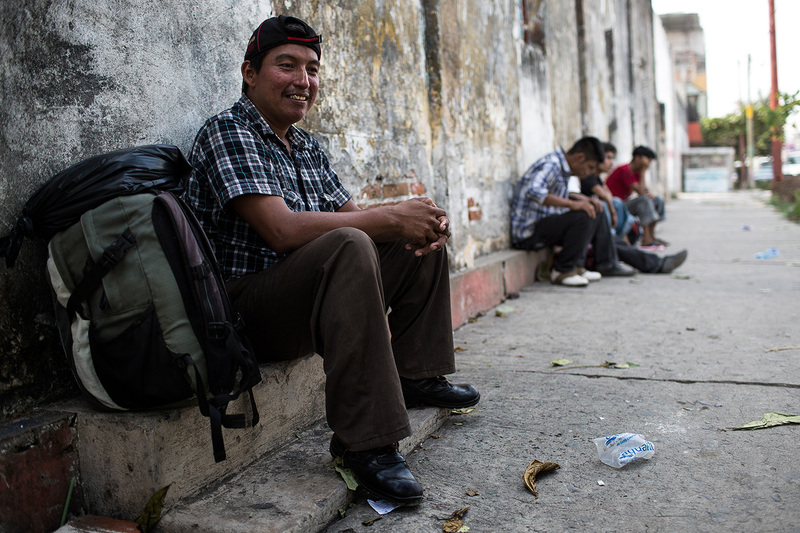 In 2015, more than 10,460 El Salvadorans requested asylum. Only 303 requests — about 3 percent — were granted, according to the U.S. Department of Justice's Executive Office of Immigration Review. Hondurans fared slightly better with 3.6 percent of 8,330 cases approved, while Guatemalans saw about 5.3 percent of their 6,900 cases approved, according to the EOIR. Asylum officers note that some cases take longer than a year to process, so the annual figures may understate the number of applications that eventually will be granted. But the approval averages are still far below the 18 percent overall average for U.S. asylum applications the same year. The Mexican and U.S. governments have both been accused of turning their backs on refugees from war-torn Central America. “The Central Americans fleeing their homes due to real threats of violence deserve international protection. The misguided, insufficient responses by both the U.S. and Mexican governments constitute human rights abuses,” wrote Laura Weiss, the web editor for the North American Congress on Latin America, a nonprofit research organization. 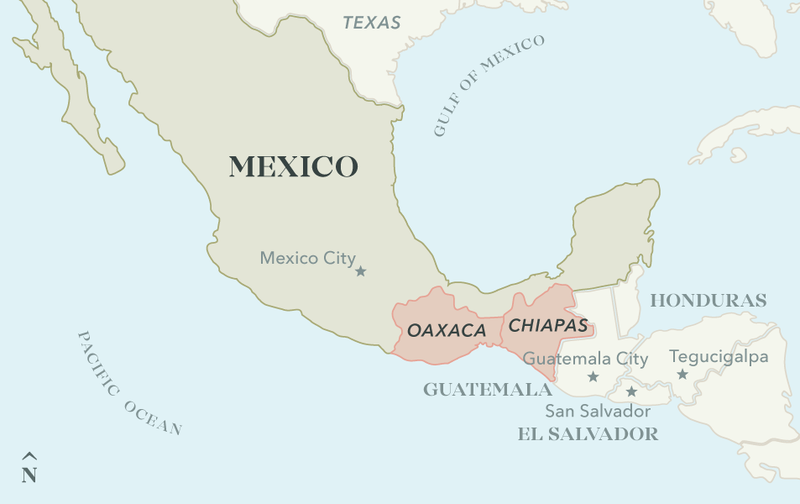 In 2015, the Instituto Nacional de Migración, Mexico’s immigration agency, apprehended about 36,000 people from Central America, according to the NACLA. The Mexican government has tossed a lifeline of sorts to Central Americans in southern Mexico, offering the migrants refugee status and visas allowing them to travel throughout a four-state area, though not as far north as the Rio Grande. It also gives them permission to work legally. It’s intended to dissuade the migrants from crossing into the United States and consider settling in Mexico instead – at least temporarily. The application process for asylum, administered by Mexico’s Comisión Mexicana de Ayuda a Refugiados, or COMAR, takes weeks to process, and applicants aren’t guaranteed approval. According to that office, only 30 percent of applicants are approved. Those who aren’t can appeal, but most end up trying again for the United States or remain in Mexico working in the underground economy. The Mexican government has also been accused of withholding information about potential relief from the Central Americans caught in that country. The NACLA said that only 3,423 people, mostly from El Salvador and Honduras, applied for refugee status in 2015. “However, according to numerous studies, the INM often fails to inform people they apprehend about their rights to apply for asylum,” the organization said. There is also concern that the visas are being abused. They allow free roaming in a four-state area, but some use them to travel as far north as they can to reach the United States. In a shelter in Chahuites, Oaxaca, the state northwest of Chiapas, Anna Hercilia Nuñuz said she fled El Salvador and was headed for the United States. She said she was waiting for her a decision on her refugee application before deciding what to do next. The 27-year-old said she was robbed and the only money she had – about $50 – was taken while she waited for a van in Ciudad Hidalgo. She said she knows the visa limits where one can travel but she’s considering taking a chance to use it to get farther north.